Construction equipment brand Genie has unveiled the new AL6 series lighting towers designed and made in Australia for local work conditions. Genie's new lighting tower series comes in two wattages- 6000 and 9000 watts. 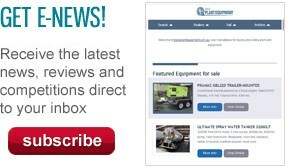 The series consists of two models – the 6000 watt Genie AL6-6000 and 9000 watt Genie AL6-9000. Both models feature a compact chassis, Kubota diesel engine, retractable drawbar and hydraulic mast. Where applications require, mine specification and hydraulic outriggers are also available as an option. When fully extended, the mast height of the AL6-6000 reaches 8.4m. When retracted and stowed, the overall height of the trailer is just 2.3m. Total weight for towing is approximately 1500kg. A 160 litre fuel tank provides sufficient diesel fuel for approximately 70 hours of continuous operation. Genie Australia General Manager Brad Lawrence says the new series has been developed in direct response to customer demand. "We have been fielding queries from our customers to supply a Genie branded, quality, mine-specified lighting tower," he says. "We researched the market and felt there was an opportunity to provide an Australian-built lighting tower; one that measures up to the Genie standards of quality and performance," he adds. "The Genie AL6 series light tower is the outcome of our development work with our Sydney supplier." According to Genie, the key features of the Genie AL6 series light towers are ease of set up and operation. Genie claims that with the drawbar retracted and the mast stowed, six AL6-6000 units can be carried on a standard flatbed truck. On site, the hydraulic mast allows operators to easily set up the lighting tower with minimal effort. With this unit, Genie says there is no need for winches and cables. Once the outriggers have been deployed, set up is easily achieved with the flick of a switch and the three stage mast is then up and working. The mast can be manually rotated while the light head can be tilted electrically from the ground control station for precise illumination of the work area. A prototype AL6-6000 model was released to Genie’s customer base for pre-production evaluation and the company says feedback received so far have been very positive, indicating that the light tower would be well accepted by the mining sector. 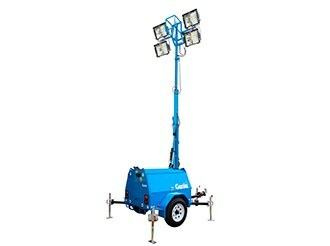 The Genie AL6 series light towers are available exclusively through the Genie sales network and will be supported by Genie’s parts and service network across the country. Click here to find Genie lighting towers for sale.